Just because you like the roominess and extra storage capacity of an SUV does not mean you should automatically be excluded from the technological advances and greater fuel efficiency of the hybrid vehicle. While it’s true that you’re sacrificing some power, most drivers won’t even let that thought flash across their minds when they’re visiting the fuel pump only half as often. Those fewer trips equal more cash in the bank. After researching automotive experts at Consumer Reports, Edmunds, Motor Trend, Car and Driver, and J.D. 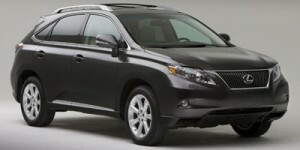 Power & Associates, we’ve found the best hybrid SUVs for 2012. 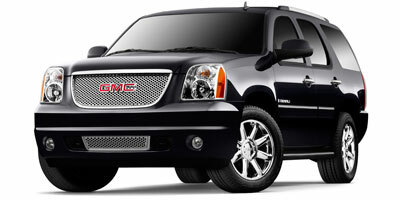 The Yukon made it this far up the list more for its features and extreme interior comfort than for its practicality. It does offer a very smooth ride, in addition to a 20/23 mpg fuel efficiency, but the brake pedal is rather spongy for a vehicle that still possesses quite a bit of power. The third-row seat is somewhat cramped, but really, when the Prius debuted who would’ve thought they’d see a hybrid vehicle with a third-row seat anyhow? The fuel savings is dramatically better than traditional Yukons. “Despite its electric bits, the hybrid drives almost exactly like a conventional Highlander. That means a high level of equipment, a cushy ride, great interior versatility, decent power, and spacious passenger accommodations.” The interior controls are well sorted out and very accessible for the driver. The seats are comfortable for adults, but can get a bit stiff on longer road trips. The interior cargo space is ample, but drivers of this beastly SUV should remember to remove excess cargo since it has a tendency to bring additional draw on the hybrid batteries, lowering the fuel economy. 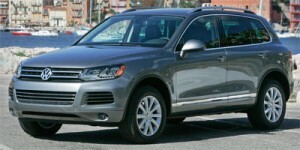 The Touareg is tremendous vehicle on its own, but there is little fuel economy difference from the standard to the hybrid – at least not quite enough to warrant the lofty price tag. 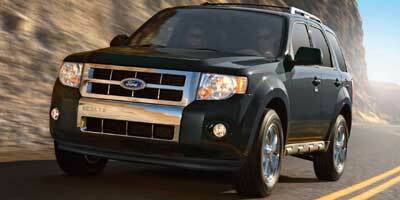 The diesel could actually be the better choice if you’re basing it strictly on mpg. 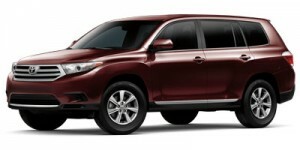 The diesel gives 19/28 mpg while the hybrid is good for 20/24 mpg. Not quite enough to justify a $15K increase in MSRP, but you are decreasing fossil fuel usage with the hybrid, so that’s always a positive. Aside from the price, the Touareg is everything it’s cracked up to be – sporty driving dynamics, a natural-feeling hybrid powertrain, and a plush interior. “The Escape Hybrid delivers a unique combination of hybrid fuel efficiency, SUV utility and a sort of rugged and refined style that’s appropriate for both downtowns and campgrounds.” The cabin is quite comfortable, but the cheaper materials bring it to the bottom of the list. The brakes are on the weak side, a newer problem for Ford, but the powertrain is sufficient for the size vehicle the Escape is.